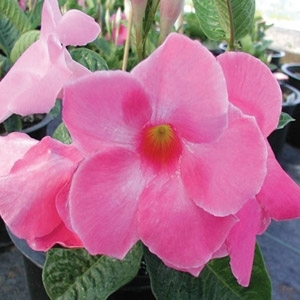 The mandevilla plant is often thought of as an annual, but in fact it is a very 'frost tender' perennial. Once temperatures go below 50F, you can bring your Mandevilla plant indoors for the winter. We carry Pink & Red varieties.